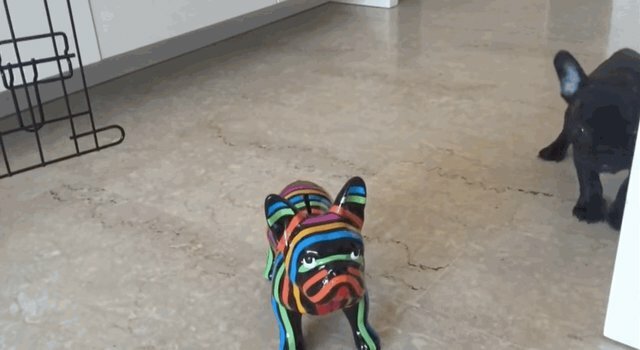 Charlie the French bulldog puppy isn't quite sure what to made of this creature he's come across. 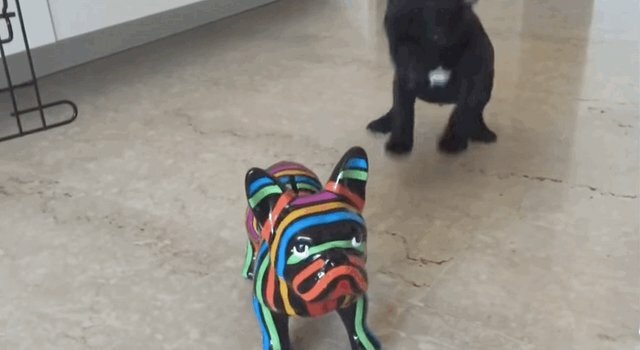 So he decides to bark at it. Hmm, it still isn't reacting. Maybe he'll try coming around the corner for a surprise attack! Eventually little Charlie gets tired out from all that barking and gives up. Soo ... the statue wins? 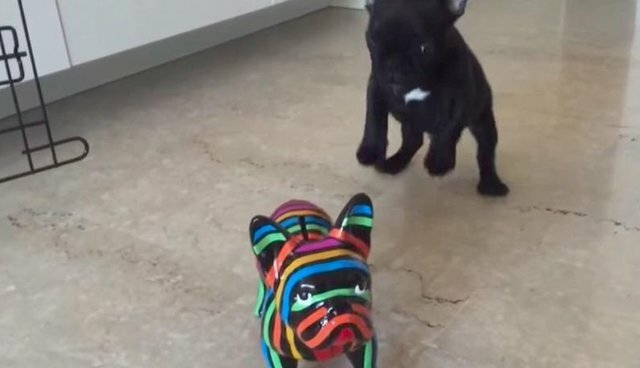 Watch the whole video here to hear the mighty sound of a tiny Frenchie barking.